Songwriting Session is a column that goes behind-the-scenes with artists and songwriters. Each Sunday, a new songwriter will share their journey and provide lessons they’ve learned along the way. This week, Barry Dean shares what he has learned as a songwriter. Barry Dean was in his mid-30s when he started writing professionally. While he dabbled in songwriting throughout his teens and continued to make up songs while mowing the lawn as an adult in Kansas, it was never something he considered chasing after. In a candid hour-and-a-half interview in his writing room at his publisher, Creative Nation, Dean reflects on his long journey to Nashville. As he recalls, it all started one afternoon while having lunch with his wife. Dean then told his wife that he wanted to be a songwriter when he was a kid and often dreamed of being around record labels and musicians. When prompted by his wife about why he doesn’t write songs he admitted that he did, often while mowing the grass or in his journal. Surprised at her husband’s secret passion, songwriting was something she kept in mind when asking if he would take her on a cruise for their anniversary the following month. He obliged and as it turns out, Dean’s wife found a songwriting cruise hosted by Nashville Songwriters Association International (NSAI). The cruise hosted discussions about songwriting in the morning and the remainder of the day would be a typical vacation setting. It was on this excursion that Dean wound up performing and was invited to Nashville for a song camp. Soon he’d find himself traveling back and forth from Kansas to Nashville throughout the year, booking co-writes and taking songwriting seminars. While picking up a guitar, he describes his early songs as “weird because I was learning to play the guitar.” He then begins to play one of the first songs that garnered him attention from a publisher, “The Boots of Sunny Red.” A story song told from the perspective of a boot, the music could be featured in a Western movie. He says his future publisher knew the song wasn’t a hit, but he liked the way Dean was thinking. 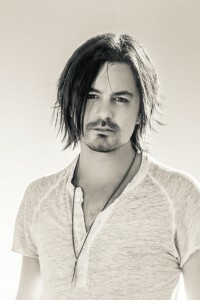 One piece of advice that Dean has taken to heart came from Mike Reid, who often tells songwriters to ask, “what’s the next truest thing I can say?” Dean relates this to several of the songs he’s written including Little Big Town’s “Pontoon,” Martina McBride’s “God’s Will” and Tim McGraw’s “Diamond Rings and Old Barstools,” which garnered Dean his first Grammy nomination. 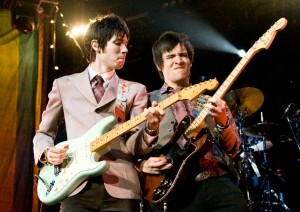 “Diamond Rings and Old Barstools” was a co-write between Dean, Luke Laird and Jonathan Singleton and almost wasn’t recorded. The three friends spent most of the day working on something else but didn’t feel like they were getting anywhere so they switched gears. Dean remembers Laird playing a guitar riff first and the song was written 40 minutes later. He admits they didn’t think many artists would be interested. For more of my interview with Barry Dean, visit Sounds Like Nashville. Songwriting Session is a column that goes behind-the-scenes with artists and songwriters. Each Sunday, a new songwriter will share their journey and provide lessons they’ve learned along the way. This week, Steve Moakler shares what he has learned as a songwriter. Steve Moakler released his fourth album, Steel Town, on Friday (March 17), but he admits it feels like it is his first record. 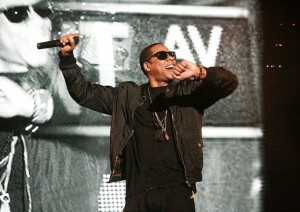 The singer/songwriter co-wrote 10 of the album’s 11 tracks, which he says makes for a personal release. As he explains, Steel Town has so much “chapter one information” and as a result, many of the songs vividly paint the picture of his roots. On “Steel Town,” Moakler discusses what life in his hometown south of Pittsburgh was like and how it shaped who he has become. Another personal song is the rowdy “Siddle’s Saloon,” where Moakler pays homage to his grandfather’s home bar. Located in his grandfather’s basement, it’s a place his family still gets together to reminisce about old times. “Siddle’s Saloon” is a song that marks new territory for Moakler and one that he can’t wait to play live. 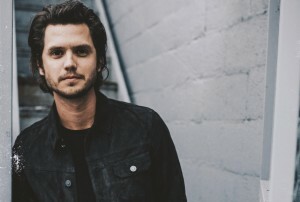 For more of my interview with Steve Moakler, visit Sounds Like Nashville. Songwriting Session is a column that goes behind-the-scenes with artists and songwriters. Each Sunday, a new songwriter will share their journey and provide lessons they’ve learned along the way. This week, Jamie Meyer shares what he has learned as a songwriter. Jamie Meyer describes himself as a Swedish fish in a sea full of cowboys as the Gothenburg, Sweden, native currently splits his time between his homeland and Nashville. While he grew up on an eclectic blend of music including Swedish country, Rod Stewart, Queen, Del Shannon, Bruce Springsteen and Roy Orbison thanks to his mother, he recalls frequently listening to Def Leppard, Bryan Adams and Bon Jovi. While Meyer raves about the music festivals each summer in Sweden, he says the live music scene in Music City is incomparable. 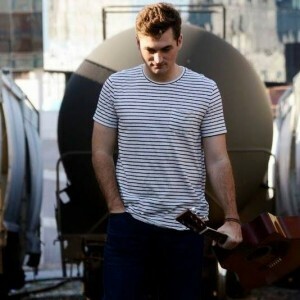 As Meyer explains, country music is not about where you’re from, it’s about “feeling it on the inside and sharing your story.” Meyer is currently sharing his story with he world in the form of his brand new EP Miss This Town, which was released earlier this month. The seven-track recording was all co-written by Meyer with frequent collaborators including Swedish producer Hakan Mjornheim, Johnny Garcia, Jimmy Mattingly, Bridgette Tatum, Steve Dean, Adam Wood and Sarah Derr. The collection of songs are personal for Meyer as two of the tracks touch upon the death of his grandparents. He calls “Holy Ground To Me” the most honest song on the EP as he wrote it while struggling over the loss of his grandparents. “Sarah Derr did a phenomenal job putting my thoughts into words. Jimmy Mattingly on the fiddle, Peter Ljung on the piano and Hakan Mjornheim’s string arrangement and production is a match made in heaven,” he adds. 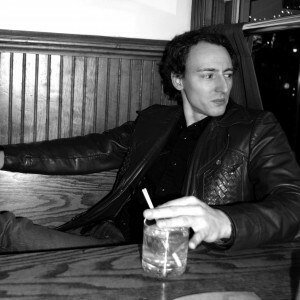 The title track, meanwhile, was inspired by Meyer’s eventual move from his hometown. While Meyer’s heart is showcased on every track on the EP, so is his energetic live show. “Live to Die Another Day” is a guitar-fused jam that details living on the edge. It’s the EP’s standout song that also showcases Meyer’s uncanny pop melodies and striking guitar parts. For more on Jamie Meyer, visit his website. Stream the album below via Spotify. Songwriting Session is a column that goes behind-the-scenes with artists and songwriters. Each Sunday, a new songwriter will share their journey and provide lessons they’ve learned along the way. This week, Jessie Jo Dillon shares what she has learned as a songwriter. Songwriting runs in the family for Jessie Jo Dillon. The daughter of Nashville Songwriters Hall of Fame inductee, Dean Dillon, she admits that her father was often a huge shadow to be in. As a result, Jessie Jo frequently discouraged herself from becoming a songwriter. It was only a matter of time, though, that she realized music was her true calling. Dillon grew up in a musical family with her songwriter father and two musically inclined brothers. She remembers being surrounded by music with everything from country to rock ‘n’ roll from the ’60s and ’70s being played in her home. The Eagles, the Rolling Stones, Led Zeppelin and Bob Dylan were frequently on the speakers and she recalls constantly writing as a child. Adamant about not following in her father’s footsteps, Dillon moved to Los Angeles for a year where she soon found her songs being critiqued by a woman in publishing who urged her to go home. Taken aback at first, she thought the review was harsh but that wasn’t what the woman meant. That was the push Dillon needed and she moved home around 2008 where she hit the ground running, but again was determined to do things her way. She didn’t want anyone to think she was joining the trade because of her father so she put more pressure on herself to strike out on her own and her hard work eventually paid off when she acquired a publishing deal a year later at the age of 21. In 2010, she’d receive her first Grammy nomination for her very first cut, a song she wrote with her father and Casey Beathard called “The Breath You Take” that George Strait recorded. 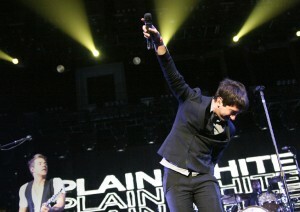 The song was nominated as Best Country Song at the 2011 awards ceremony. Dillon had the idea for “The Breath You Take” and called her dad and told him about it. That day he was writing with Beathard and invited his daughter to join them. For more of my interview with Jessie Jo Dillon, visit Sounds Like Nashville. Songwriting Session is a column that goes behind-the-scenes with artists and songwriters. Each Sunday, a new songwriter will share their journey and provide lessons they’ve learned along the way. This week, Natalie Hemby shares what she has learned as a songwriter. Natalie Hemby had a long journey to releasing her debut album, Puxico, in January. 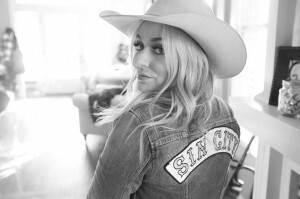 The Nashville native and established songwriter is well known in Music City for penning hits for Miranda Lambert (“White Liar,” “Automatic”) and Little Big Town (“Pontoon,” “Tornado”), among others, but for years she was trying to make it as an artist. Hemby found herself close to a record deal several times throughout her first decade as a songwriter but due to the shifting musical landscape and regime changes at labels, she never signed on the dotted line. Hemby says her day job at Comcast grounded her and made her love songwriting even more. At the time her husband, Mike Wrucke, began producing Miranda Lambert and the two women became fast friends. 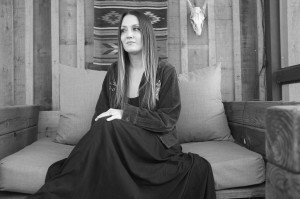 Hemby soon found herself singing on Lambert’s first three albums and the Texas native kept urging her to set up a co-write. The two songwriters finally got together and the first time they met they wrote “White Liar,” which would become both Hemby and Lambert’s first No. 1. They continued their partnership and co-wrote four songs featured on Lambert’s third album, Revolution. 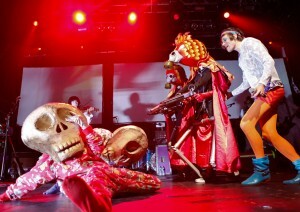 Meanwhile, Hemby likens Lambert to a younger sister and says she respects her songwriting. Another song Hemby co-wrote with Lambert was their CMA Single of the Year and ACM Song of the Year, “Automatic.” Hemby remembers Nicolle Galyon bringing the idea to their writing session. For more of my interview with Natalie Hemby, visit Sounds Like Nashville. Songwriting Session is a column that goes behind-the-scenes with artists and songwriters. Each Sunday, a new songwriter will share their journey and provide lessons they’ve learned along the way. This week, Emma White shares what she has learned as a songwriter. Emma White was born into a musical family as both her mother and grandmother were singers and songwriters. In fact, Emma was named after Emmylou Harris while her siblings are named after a James Taylor reference. So, it’s safe to say that music has been woven into her life from an early age. Over coffee at Nashville’s Portland Brew, White recalls her music filled childhood fondly. White loved pop and R&B music while her family preferred country. Her latest EP blends all three genres and she credits her time studying at Berklee College of Music in Boston for helping her evolve as a songwriter. The singer/songwriter wrote her first song as a teenager and began shopping her demos around at the age of 16. She’d often perform Lauryn Hill songs at talent shows in Maryland with the dream of being a singer. However, it wasn’t until she heard a Clive Davis interview where he stressed the importance of being able to write songs that she realized she should focus more on songwriting. After living in Boston and New York, White made her way to Nashville although she admits she never thought she’d wind up in Music City. “I was a New York girl, but every opportunity and every door that ever opened ended up being down here,” she says. The first song she released professionally was called “His Eyes” and she first thought it was an R&B track. People advised her to submit it to a local Maryland radio station where it won an undiscovered talent contest with their country station. Suddenly, she realized she was actually writing country music. White’s latest EP released on Friday (Feb. 3), merges her passions for songwriting, country, pop and hip-hop. While the songs include classic country songwriting the production hints at pop and R&B. This is exemplified in the standout song “My Ex,” co-written with Jesse Lee (Kelsea Ballerini’s “Peter Pan”). White’s new single “Not That Into You” is more pop based and sounds like a song that would fit in perfectly on radio in between Taylor Swift and Kelly Clarkson. She says it’s her favorite song she’s ever written and was inspired after a trip to LA. While attending an industry event a man there was making strong advances towards her. Taken aback, White turned the off-putting experience into a song that embodies a humorous portrayal of a girl pushing a guy away. White’s new EP includes seven songs, all of which she co-produced, and spans several genres. She says this was intentional as she wanted each song to stand firmly on its own. It has been a long musical journey for White, who now lives in Nashville full-time. She says if she could have told herself anything before taking the leap into music it would be to buckle up because there are a lot of highs and lows. She adds that having patience is important and stresses at being open to collaboration. She adds that she’s constantly trying to find a balance between success as a songwriter and simply doing it because she loves to write. 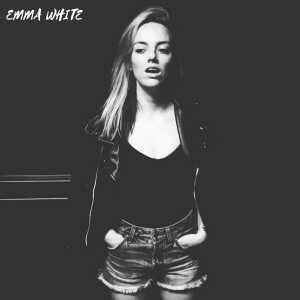 For more on Emma White visit her website and to purchase her music, click here. Catch Emma live in Nashville on Monday evening (Feb. 6) for Whiskey Jam at Winners Bar & Grill. Songwriting Session is a column that goes behind-the-scenes with artists and songwriters. Each Sunday, a new songwriter will share their journey and provide lessons they’ve learned along the way. 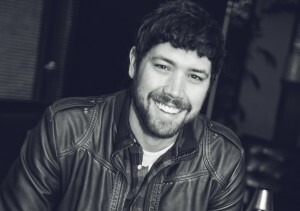 This week, Corey Crowder shares what he has learned as a songwriter. Corey Crowder never dreamed of being in a band or on the stage. 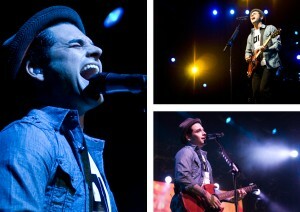 Music was simply a hobby until he started playing guitar and singing in church as a teenager. Soon after, all he cared about was music and in college he frequently played open mic nights where listeners loved his original songs. This prompted him into forming several bands, thinking he wanted to be Dashboard Confessional and Death Cab for Cutie until he discovered Bob Dylan. “Bob Dylan sent me down a spiral and I got really into Southern rock and I started playing,” he recalls nostalgically from his writers studio at Liz Rose Music in Nashville. He eventually acquired a record deal with Christian label Tooth & Nail Records where he released one album, Gold and the Sand, but it was far from a success. Soon he found himself dropped from his label as he and his wife moved from Tennessee back home to Georgia. This was far from Crowder’s last foray in the music industry. Back in Georgia, his wife decided to submit one of his songs to country station 94.9 The Bull for their locals only Saturday night radio program. Liking what they heard, the station played Crowder’s song “Love” and EMI executive Bruce Burch was flipping through stations when he heard the track. The two knew each other from his t-shirt selling days so Burch called Crowder and convinced him to meet in Athens, Ga. the next day where he was running a music business program. Another music executive, Duane Hobson, joined them and suggested Crowder give Nashville one more shot and to play for the head of Sony. Still uncertain about Music City, he decided to give it a try and got a developmental deal with Sony during his first meeting in 2009. So, he and his wife packed back up and moved to Nashville and he began writing another album. Soon after, there was a regime change at Sony and his deal got dropped. He says it was the best thing that’s ever happened to him, though, as he quickly realized he didn’t want an artist career. Instead, he wanted to be a songwriter, something he didn’t think was an option until he began getting holds and cuts with his songs. Over the past four years as a full-time songwriter, Crowder has accomplished more than most achieve in a lifetime. He was recently nominated for a GRAMMY for Chris Young and Cassadee Pope’s “Think of You” in the Best Country Duo/Group Performance category where he is both a songwriter and producer on the track. It’s recognition he never thought he’d see and a bucket list moment. Crowder wrote “Think of You” with Young and Josh Hoge and says the song was inspired in part by a friend who had recently gotten divorced. While Crowder has known his wife since he was 16, he said he began thinking about how terrible it would be for their friends if they split up. For more on my interview with Corey Crowder, visit Sounds Like Nashville. Songwriting Session is a column that goes behind-the-scenes with artists and songwriters. Each Sunday, a new songwriter will share their journey and provide lessons they’ve learned along the way. This week, Dan Couch shares what he has learned as a songwriter. 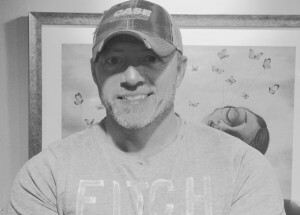 Dan Couch moved to Nashville in 1995 with the dream of being the next Garth Brooks. When things didn’t happen exactly how he envisioned, he found a new passion: songwriting. The Indiana native spent years attending writers rounds and open mic nights in the late ’90s, meeting hopeful artists like himself including Kenny Alphin of Big & Rich, Ira Dean of Trick Pony and James Otto. Meanwhile, he continued to hone his craft as a songwriter. After being in Music City for three years, he soon realized that what he loved most was not being on the stage but writing songs. It was a long journey to his first No. 1 hit and Couch pauses when asked what kept him going all those years. He says it was blind faith and support from his parents, friends and especially his wife, who is a labor and delivery nurse. Couch adds that being hard-headed and holding the belief that success can happen is what often kept him going. Following his first No. 1 with “Somethin’ ‘Bout a Truck,” he’s had several hit songs including Moore’s second No. 1 “Hey Pretty Girl” as well as “Young Love” which went to No. 22 on the country charts and Canaan Smith’s “Hole In a Bottle” which went to No. 23 this past summer. He credits his wife, who he calls the breadwinner, for allowing him to have a normal life and the livelihood to pursue songwriting full-time. “I couldn’t have done it without her,” he says. Couch’s wife is also his muse and was the inspiration behind his second chart topper, “Hey Pretty Girl,” off Moore’s debut album Up All Night. 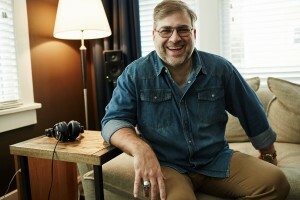 For more of my interview with Dan Couch, visit Sounds Like Nashville.